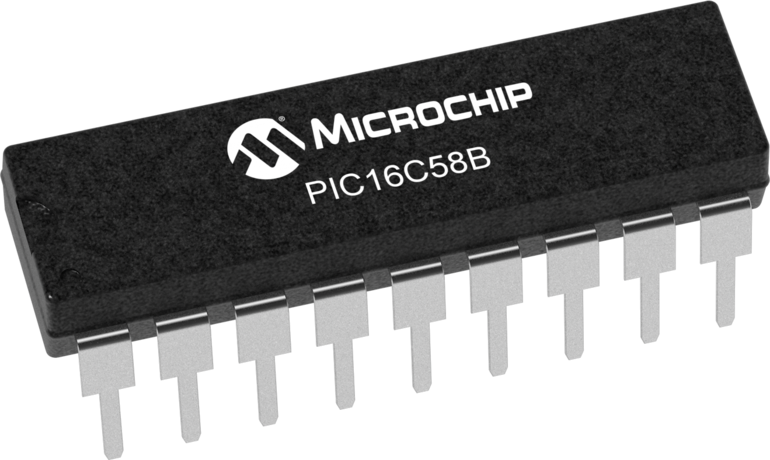 The PIC16C5X from Microchip Technology is a family of low cost, high performance, 8-bit fully static, EPROM/ROM-based CMOS microcontrollers. It employs a RISC architecture with only 33 single word/single cycle instructions. All instructions are single cycle except for program branches which take two cycles. The PIC16C5X delivers performance in an order of magnitude higher than its competitors in the same price category. The 12-bit wide instructions are highly symmetrical resulting in 2:1 code compression over other 8-bit microcontrollers in its class. The easy to use and easy to remember instruction set reduces development time significantly.